2 vendors have this plant for sale.21 members have or want this plant for trade. I bought my sun parosol back in may of 2013. I brought indoors when temps got 50 deg. I put it in my east facing bay window and in march of 2014 it started vining. It was more of a small bush until that point. When it got warm out I sorted wrapping the vines around a small trellis I inserted into the pot. The vines stopped and it got bushy again. The plant for 2 summers now has produced gorgeous blooms of scarlet red. It started blooming again shortly before the vining. This year, I brought it inside in Oct. and now it is Nov.,still blooming, and sending vines again. Today, I noticed green pods that resemble those of a Cleome, shooting off one of the vines. There are 2 of them looking like very skinny fingers sticking up. I've never seen anything quite like it on a plant. I'm curio... read moreus of how long the pods take to mature, and how long I should wait until planting them? Any advice would be great. This flowering vine is very common in Panama where I live. Many people have it planted in their yards. While it seems to grow faster in the tropical lowlands it does well for me at 1400 meters. The vine needs support and it is best to tie it to some kind of trellis. I tried to root it at various times without success. Recently it had seed pods with seeds so I planted three seeds. Two of them sprouted readily so I now have two vigorous seedlings in pots. I have harvested more seeds which I hope to plant soon. This vine has very attractive flowers and here it is in flower 365 days a year. In the dry season I water it. It has grown up to the second floor of my house. It is about 6 years old. I have a small pool with a waterfall below it and there are always some of it's flowers floating on th... read moree water. At the base of the vine I have planted some Heliconias. Where I live is frost-free (zone 11). I would highly recommend it if you live in the tropics. Wonderful and full of tips! I have grown one of the red dipladenias (learned from reading earlier comments difference from mandeville) for four years now and loooove this vine. It grows great for me in full sun, which is about 6 hours/day in my yard in the Triad region of NC. I usually have to water at least every other day. 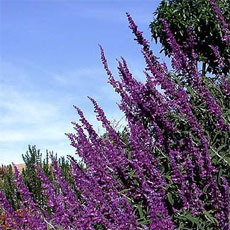 If I buy a small plant in the spring, it may reach 15 feet by fall and be covered with profuse blooms all summer. This is the second year I've over wintered a vine. I bring it in when it gets cold. Both years I waited too long, until close to frost temperatures (once it was after the 30 deg. temps, but still salvaged the vine) and the vine shed terribly when I brought it in. It was autumn in my kitchen, green leaves falling everywhere the next few days until the plant was a... read morelmost bare. So both years I pruned the vine way back, which was probably a good idea irregardless. I leave it in my kitchen, in my sunniest window, which isn't all that sunny, and supplement it with some CFL lightbulbs, about 150-watt incandescent equivalent, and water a couple times/week (it's pretty pot-bound by fall but I don't transplant until spring). I don't feed it. I get a bit of growth over the winter but no blooms. Last year I started feeding in the spring and used a fertilizer high in nitrogen. Oh my gosh, I couldn't figure out why I had no blooms, but the vine took off like it was on steroids. I had the largest and bushiest mandeville I'd ever seen. Later I found out you need to use a fertilizer lower in nitrogen, and higher in phosphorus if you want flowers and not green growth. Once I switched fertilizers, it started blooming. This year I think I will repot and start fertilizing for green growth now and then it will be big and bushy when I put it out to bloom when it gets warm enough. Of course, I'll have to double up on the light bulbs at minimum. Anyways, I don't know if what I'm doing is "right" or not, I'm only sharing what has worked for me (and if it ain't broke......). If you like bright flowers, you can't beat this vine for ease of growing (I kill stuff......... year #5 trying to grow lavender, wish me luck, retrying some other things like phlox and columbine, too) and volume of blooms. Outdoors only in San Diego,Los Angeles on the west coast for all year. After that,they wont take long cool winters even if no frost. Terrible indoor plants..they grow long rangy runners with mites and many pests..mealys. The new small leaved hybrids are MUCH hardier. Those,you can count on in 10a or even 9b..
Like Kell said-- this post has two plants mixed up. Red Riding hood and Alice Du Pont. What I wrote above is for ADP. Love the constant pink blooms. In a pot on the deck all (hot) summer in Muskoka, ON Canada (4B). Need advice on how to keep it over the winter? I will bring it in. Shall I cut it down? Repot? It seems to me that many of the pictures posted here under Mandevilla splendens are really Mandevilla x amoena 'Alice Dupont' with the larger crinkled leaves. I too LOVE this plant. It is growing up and over our fence, and flowers are beautiful, but I'm experiencing the same problem of leaves turning yellow and falling off at the bottom that some earlier commenters have mentioned. No one has offered a suggestion for how to prevent or stop. PLEASE if anyone has any suggestions let's hear from you. I bought a Mandevilla Boliviensis last summer for the sunny west facing window of my appartment. Unfortunately it wasn't a very bright summer in Dublin, Ireland (53 deg Northern). It was doing okay, so I gave him some tomatoe food as I read it wanted somewhere. For whatever reason, I'm not sure, the leaves turned brown and fell off. I have not been able to bring it back to life since. Potted up when purchased, complete with bamboo (Was growing well), Continued to grow, was fed NPK 5.5.10, stopped growing. New leaves and shoots turned brown and fell off, established leaves never died. Watered soil out thuroughly and next year (9 months later) put in a very sunny location. Showed good indications of climbing but then ... read morefor no reason and no feeding, same browning of leves and climbers occured again. Moved out of sun, no change to date. I love the plant, his name is Douglas, but he doesn't seem to do well under my care. Grown in large pots in the summer, this year I put the pots in the cool dim basement after I cut the vines back to 6 inches (before frost). I added a cup of water to each pot just once during the 5 months they have been downstairs. Today I brought them upstairs and they have small sprouts from the base, and some short fresh green vines from the older pieces. Two weeks later I now have a dozen new sprouts on each plant. I've fertilized lightly. This is a gorgeous plant, just seems a bit finicky. We've bee ngetting dumped on from the sky these last 3-4 weeks with rain every single day. So the bottom of my Mandevilla is dropping leaves (they don't like wet feet). Should be better once the rain stops, although I don't know if I'll keep it with our winters here since it's in the ground. Oh well - at least I can enjoy it for a season!! I really love this plant! I have two vines planted in a planter near our pool. They came twined upon a small bamboo "trellises" and I put a larger trellis in the planter with them. Almost immediately they have taken hold of the new trellis and seem to grow overnight. 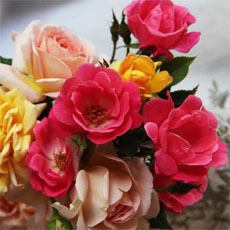 The flowers are brilliant pink and quite long lasting. I've had one on the porch and loved it - but that was on a trellis. can you put this in hanging planters? Love this plant. Have 1 red riding hood and 1 alice du pont planted at trellis together. I too was cutting the vines that swung in the breeze, until I found accidently that, that is where the flowers come from-was pleasantly suprised. I am also now finding that quite a number of leaves are browning and falling off, dont know why, but it has lots of flowers. I also wonder if it has to do with winter coming on. I dont notice any insects but I did notice an improvement when I sprayed insecticide a couple months ago. But now its Dec. and doesnt seem logical to spray plants with bug spray, maybe Im wrong. Hate losing these leaves though. Anybody help? One other note, I was sure I was going to lose my plant when new it definitely looked like it was dying. Thats why I bought a second one abou... read moret 5 or 6 months later. 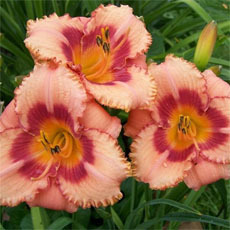 It took quite a long time for both to become established..
My Mandevillas were two of my first ventures into gardening. We have valiantly, and they elegantly, prospered and learned during our first year of gardening. 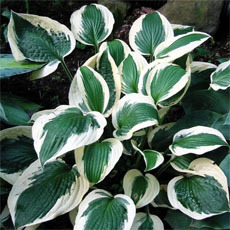 I have two of the most beautiful vining plants with deep, georgous green foilage..and delicate, creamy blooms. I highly recommend this plant to new gardeners. Here on the coast of South Texas, I did have fierce battle with Japanese Beetles and Carpentar Ants. I am a firm believer in Neem Oil for both of these pests! My plants are encumbered with blooms..and the light, sweet aroma wafts on the air as we relax by the water garden. I got my plant last year, kept in a pot, and brought it in for the winter, pretty sure it couldn't stay in the ground. Put back out this spring, had yellow leaves and they seems to have tiny spottiness to them. I guessed spider mites. They are doing much better after some Sevin spray, and fertilizer. I've kept it in the same pot and found it tough, not wilting , always in bloom once started. I just bought a small Red Riding Hood Diplandenia and am doing research to see what I have. I live in zone 7 the foothills of NC Mountains. Has anyone wintered these over as a house plant? I think the winters might be to cold here, I just moved to NC April 1 from MA, so I have no real experience. I planted two and the the rains came. Both appear to have died, but am crossing my fingers in hopes that they come back. I bought two white Mandevillas for pots on my porch; one of them is growing and blooming like crazy and the other is losing leaves and the buds are falling off before they open. I water them equally (lately every day, as we've had record-breaking high temps here in N.O.) and they both get alot of sun, although the sickly one gets a little more afternoon sun. I have no idea what the problem is, but generally Mandevilla does very well here. Re-potting can be enough of a reason for the Mandevilla to enter a bit of a slump. It will perk up if it is in good lighting. 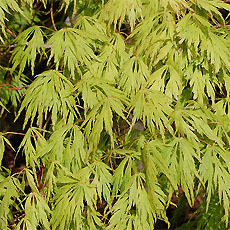 It can also droop or drop leaves if the sun is too strong. I have had an awful time with aphids on my plants as well. For that reason, I almost never place my Mandevilla near other susceptable plants. I still give Mandevilla a positive rating because it's a beautiful, relatively easy to care for plant. Somebody correct me if I am wrong, but I believe that Mandevilla might be deciduous and needs a dormancy period every so often? So if your plant just starts to randomly act weird (especially in Fall/Winter), it could just be in need of a pruning and some rest. I live in southern Australian, in a mild-warm climate. I just bought a bright-red Mandevilla the other day and re-potted it when I got it home. Almost the next day, leaves started turing yellow and falling off. It's still in bloom (magnificent color!) and the buds are still there but am concerned about this problem. I've looked at the other growers' notes on this, but some say it probably needs more water, and others say it probably needs less. I water it every day, as its summer here and hot. At a time when most taxonomists are eager to further divide plant species, I don't understand why they lumped mandevilla and dipladenia into the same category. The plants are VERY different in appearance. 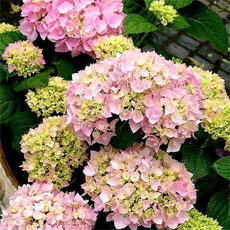 One has large, rippled leaves up to 6 inches long and 3 inches wide, with large blooms in pink, light pink, or white. It is the traditional mandevilla. 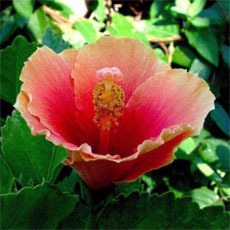 The other plant has small, smooth, shiny leaves up to 2 inches long and smaller blooms in more intense shades of hot pink to red. It was called dipladenia. I have this latter type. I have found the best time to propagate the vines here in Missouri is mid-summer. I put cuttings under plastic and they root fairly quickly. Mine continue to bloom all winter in the greenhouse, and all summer in the landscape. Both types... read more get much taller than listed in the details...about 10 to 12 feet for both. Of course, you can allow it to loop back down on the trellis to keep it at a lower height. My response says neutral but it's not the fault of the plant. I planted my pink bloom mandevilla in a large brick planter with a large trellis above it. It was BEAUTIFUL, then started looking quite ill. On closer inspection, I broke open one of the woody vines and it was filled with carpenter ants! My hubby sprayed it with carpenter ant killer and they are all gone, thank goodness, but the damage was done. I cut all the vines down to the nub and after some weeks of shock, I have about 3 foot long vines now with healthy looking leaves. You may have to do a similar drastic thing with the aphids - kill them completely and cut off all the damaged areas and cross your fingers. Another positive besides the beauty and rapid growth - -... read more - the deer don't seem interested in eating my mandevilla. Hooray! This is to answer the leaves yellow and falling off problem, perhaps overwatering might be the problem.With regards to aphids and such, in my experience, I have discovered a natural pesticide/immunnity builder call neem oil.If you get it in concentrated form it is inexpensive and really works, it kills the eggs of the pests before they have a chance to hatch and boosts the immune system of the plant but do not spray actual flowers.The flowers don't like to be coated with the stuff-it stains them but it makes the leaves beautifully shiny. My mandevilla is also turning yellow leaves. in containers, water every day, balanced fertilizer. a few leaves started turning yellow, now about a dozen are yellowed and dropping off. It's mid July.... time for it to start going dormant? When does that happen for this area? My recently planted Mandevilla dipladenia's leaves are turning yellow & falling off. We have clay soil, but I've added compost when planting. Can anyone HELP -- before I lose these beautiful plants?? I have four of them. I found the most beautiful RED Mandevilla! It opens up pink and next day turns into a dark, vivid red. I only had pink ones before, but this is gorgeous. Had it for about a month and it blooms constantly. The blooms are a bit larger than the pink ones. Here, in Guam,they grow and bloom year round, and they get quite large. A perfect addition to my garden. I think Mandevillas are beautiful but I planted 3 or 4 last year in my yard and none of them survived. Well, they did until cold weather came and they never returned. I have a new one on my patio in a container and it is surviving..pretty blooms but it is still small. I have found the insecticidal soaps effective against aphids. These soaps are also much safer to use indoors in a sunroom than the more toxic insecticides. You should be able to find them at any nursery, or the garden section in places like Lowes, HD, etc. I was given my Mandevilla as a gift about 4 months ago and it was a wonderful addition to my sunroom. Plants help even the coldest days in Vermont seem wonderful. However, my experiences dramatically changed about 1 month ago when it became infested with Aphids! I can't get rid of them. If anyone has suggestions for saving my lovely plant I would love to know! My Mandevilla always gives warning about thirst and lets the flower buds die first while the leaves stay healthy and growing. They like the partial shade here in east central Florida (U.S.) because the sun is so hot. I purchased a Mandevilla last year and overwintered it in a pot in the basement. I transplanted it in April/May (after the last frost) to a southeastern exposure next to my house. It's a prolific climber and needs a trellis or other form of support! 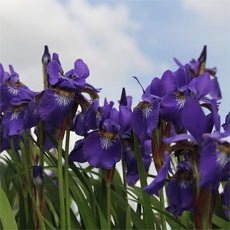 Blooms have developed in threes and seems to enjoy the pine straw mulch used to maintain moisture. It also attracts hummingbirds!! Another nice addition to the yard. I am going to try to overwinter with heavy mulching outdoors this year. I live near Houston, Texas (U.S.) and my Mandevillas are growing wonderfully! I have to water a lot and use water-soluble fertilizer twice monthly. This is my first year with them. I read elsewhere to cut the stems back during winter and to bring them inside, keeping them watered. I hate the thought of cutting them back - they're so beautiful. We have mild winters; however we do have an occasional freeze. I found a Mandevilla at a local outdoor nursey here in Michigan, and the only thing it had to identify it was a stick saying "Mandevilla Pink". The salesperson didn't know much either, so this site has been very helpful. I am a apartment dweller and not a master gardener, but love plants, herbs, and container garden profusely!! I will take pictures in the future and post. THANKS FOR A GREAT SITE!! My vine is a prolific bloomer and is rapidly covering a chainlink fence. It is 10 feet and growing; it blooms year-round in southern Florida (U.S.); it's a garden favorite down here! Dipladenia is also known as Mandevilla, named after the 18th century British diplomat and gardener Henry Mandeville. It is a native of South America. particularly the Organ Mountain forests near Rio de Janeiro. Additionally, it is also known as Dipladenia mandevilla, and the genus Mandevilla includes plants that were formerly called Dipladenia. Botanically they are all Mandevillas, but tradionally this plant has been called Dipladenia, having smaller leathery leaves and have very little climbing habit. 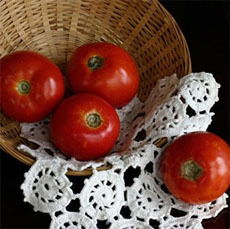 Usually they are grown as a container plant or a semi-hanging basket. The original Dipladenias were a very pale pink flower and were discovered in the highlands above Rio de Janeiro. Recent botanical name change from Dipladenia splendens.